This version of ArcGIS Online is not available to new customers. Ready to Use: The software is ready to use with nothing to install or setup. It's software delivered as a service, giving you and your team intuitive tools to create and publish maps and apps on demand. You stay in control of your data. Go Mobile: With the free downloadable ArcGIS app for smartphones and tablets you and your organization can access your maps and information wherever you are, at any time. Or simply use the browser to discover content, collect and report data. Collaboration Made Easy: ArcGIS Online gives you an easy-to-use and intuitive workspace for collaborating with others in your organization. Users can create groups and invite others to work together on projects of common interest. 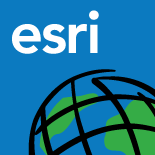 Esri's secure, multitenant cloud that's scalable and ready to use. No additional hardware or software has to be purchased or installed. ArcGIS Online gives users in the organization access to tools, basemaps, and other content to make and share maps and applications. Users can catalog and discover maps and applications; set up groups to collaborate; and share items with each other, the entire organization, or publicly. For example, without any programming, any user that's part of an ArcGIS Online organizational account can quickly share maps by embedding them in a website or blog, through social media, or by using a preconfigured web application template. Support included with annual subscription.